Participation in various Olympiads tends to make the students very sharp-minded and clever problem-solvers because these exams don't just test the student’s knowledge of concepts, but his/her understanding and application of the concepts as well. 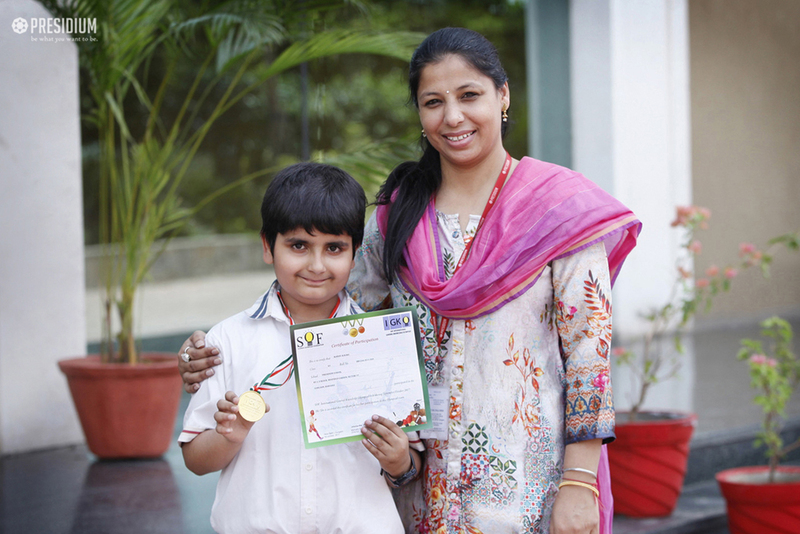 Recently, Kanav Kalra participated in the 7th SOF International GK Olympiad. Using a higher level of thinking order, Kanav brilliantly applied his learned skills to new situations and won the prestigious Gold Medal. Kudos to Kanav and his mentors!